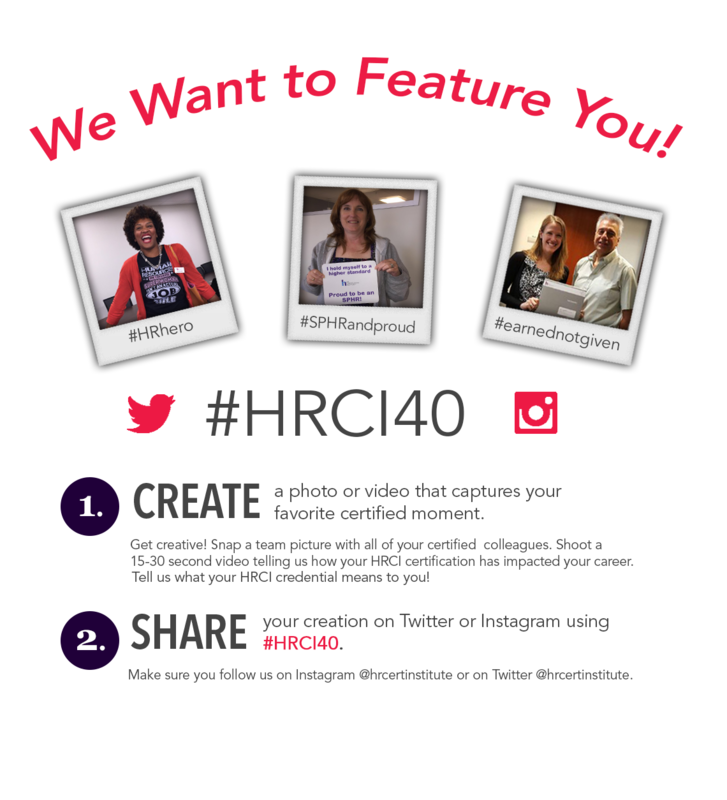 Thank you for helping HR Certification Institute® (HRCI®) celebrate 40 years of HR certification! Attendees enjoyed exclusive access to the National Portrait Gallery’s "Eye Pop: The Celebrity Gaze" exhibition, dancing to the beats of DJ Scientific, photobooth fun and much more! JUNE 20, 2016 | 7:00 p.m.
by sharing your HRCI certification story! Use the hashtag to submit your images on social media. Submit your videos to events@hrci.org.